Sweden and China have becomeembroiled in an unlikely diplomatic row after three Chinese tourists werethrown out of a hostel in Stockholm in anargument over check-in times. 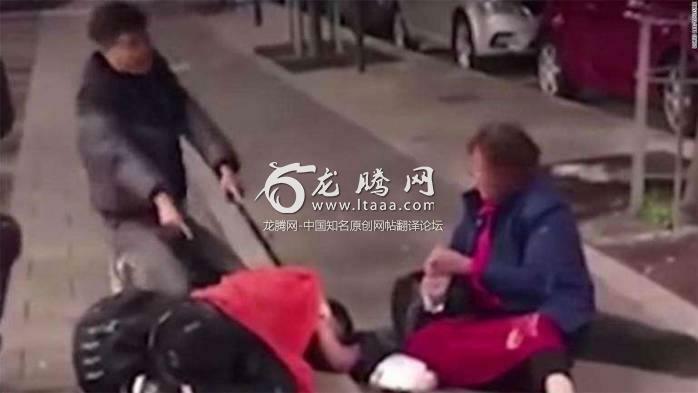 Videos showing what China has described asthe “brutal mistreatment” of a man and his elderly parents by Swedish policehave been viewed more than 100 million people on social media, sparking a heateddebate in the Chinese blogosphere. The Chinese government, however, is takingthe matter very seriously indeed. Two statements have been issued by theChinese Embassy in Sweden, the first a safety alert warning would-be visitorsto Sweden of incidents involving theft, robbery and poor treatment at thehands of the Swedish police. Representations have been made, it says, tothe Swedish government both in Stockholm and in Beijing, and the Chinesegovernment “cannot understand why the Swedish side has not given us anyfeedback”. A spokesperson for the Generator Hostelschain said the company was still working to establish exactly what occurred inthe exchange between the three Chinese tourists, hostel staff and the police. They should have just said they were fromSyria. I just could not believe the so-calledlocal report as its description so much deviates from the fact. The old fatherwasn't feeling well due to the long flight. The police women just dragged himout. The family were forced into a vehicle, beated, and dumped in some wherefar away in the cold night --- this was reported as giving them a lift in thelocal report. How ridiculous! When you comment the behaviours of the family,please do not forget to take this into account: they were driven into adesperate and irrational state by the rudeness and cruelness of hotel staff andthe police women; they are not criminals and they cannot fight back and beatthe police. The sad way for them to express their feelings is what you saw.When I watched this, I feel so sad -- This guy perhaps planed to take his oldparents to see the "beautiful Sweden", but what they got is a painwhich will last for their remaining lives. You are Chinese a liar and confused. I believe a person with a brain and a heartwon't post the abusive message you posted. They were squatters and the hotel had theright to evict them. But this is a civil matter inside private premises, thepolice should not have touched them. That's what hotel security are for. Youwill always take a PR hit though if you throw tourists out of your hotelwithout trying to solve the situation. “What the police had done severelyendangered the life and violated the basic human rights of the Chinesecitizens.” HA ha ha ha lmffo. Hypocunts. Why post these lies here? That is not a wayto give some one a ride. The parents got hurted and they were dumped some wherefar from the hotel. they look like 3 Chinese drug dealers aboutto be shot in the back of the head..